Habiba Corodhia Mohamed is Program Manager for Fistula Foundation’s Action on Fistula program in Kenya. In this role, Ms. Mohamed works at the local level to educate communities about fistula and help identify and refer women for treatment. She also trains other community health workers in western Kenya to do the same. Ms. Mohamed began her career as a community veterinarian, assisting livestock farmers by treating their sick animals. Though this close contact with the community she began to see the myriad social challenges face by rural communities and became passionate about working with women facing reproductive health challenges. She is the founder of Women and Development Against Distress in Africa (WADADIA), a community based organization working in the western region of Kenya that provides psycho-social support, economic empowerment and reproductive health to women in need. 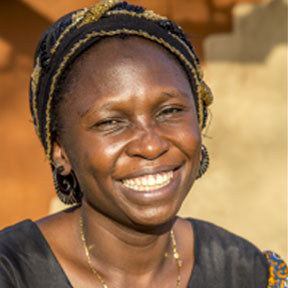 Prior to joining Fistula Foundation, she worked on fistula for nearly a decade. In this time, she was able to publish a research paper on the psychosocial consequences of fistula to young mothers in western Kenya, and developed Habibathananga, a fistula reintegration model currently under pilot in western Kenya. In merely the first five months of her work on Action on Fistula, Ms. Mohamed oversaw the training of more than 70 community resource workers, who have conducted outreach visits and community rallies that resulted in reaching more than 4,500 community members, and the treatment of 80 women who were successfully referred to treatment Action on Fistula sites. Ms. Mohammed holds an undergraduate and Master’s degree in Counseling Psychology from Mt. Kenya University.